Ever watch a really bad movie from the 70s or 80s and think to yourself, "What the HELL were they thinking!?!" Then you have to watch this documentary about the two men, Menahem Golan and Yoram Globus, who started Cannon Films and unknowingly changed the movie industry as we know it. 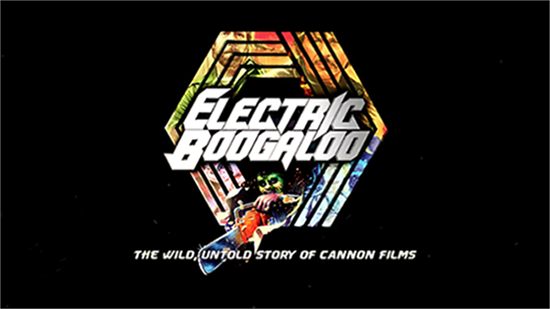 Electric Boogaloo: The Wild, Untold Story of Cannon Films is an amazing explanation of the who, why, and what the hell, to how movies like Death Wish, Delta Force, Masters of the Universe, and the god-awful SuperMan IV came to life. It's a delightful deep dive into the maniacal masterminds who were more concerned about quantity over quality when it came to making films. Now do yourself a favor and pop some popcorn, get on your couch, and go directly to Netflix to watch this great film about bad movies. You won't be bored, trust me.